One way to improve school safety is to establish metal detectors at the main entrance and at every entrance possible. Keeping schools secure is becoming a pressing issue, one that has been in the public eye since high-profile school shootings earlier this year. There are still some incidents that remain etched in the public memory, even decades after they have happened. One way to improve school safety is to establish metal detectors at the main entrance and at every entrance possible. Most of the schools throughout the country do not currently use metal detectors as part of their safety protocols. 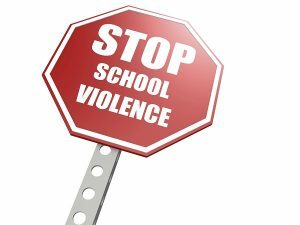 It is far more likely to find these measures in schools where there is a history of violence and disruption – particularly in tougher neighborhoods where incidents with weapons being brought onto school grounds is a frequent issue. The main reason metal detectors are used is that they can provide peace of mind for the community that the school serves. It’s crucial to remember that while metal detectors can be effective, they are not infallible and should not be the only school safety procedure that you implement. School stakeholders who are against adding metal detectors, which are already common in airports and government buildings, do so primarily because they don’t want the detectors to negatively affect positive environment all schools are supposed to represent – a place to encourage students to learn and not feel as though they are prisoners. High upgrade costs also present a sticking point that hampers wider usage of metal detectors. Ultimately, when deciding if metal detectors are right for your school, you must involve everyone who is a stakeholder in your school – parents, teachers, staff, and especially the students. Also, consider the costs associated with maintaining the metal detectors along with employing human operators to oversee the process of vetting everyone who passes through the detectors. Part of ensuring school safety is making sure that all of your students and teachers know what to do in an emergency, so it is important to update your procedures to reflect the presence of the metal detectors. Can students and teachers get through the checkpoints in a timely fashion? Disruptions to normal routines can create an uncomfortable atmosphere that is not conducive to learning, either. This entry was posted on Monday, June 11th, 2018 at 1:46 pm. Both comments and pings are currently closed.